Miami, FL – This February, legendary tenor Andrea Bocelli will be returning to the U.S. for his annual Valentine’s Day performances with a return stop in Miami at AmericanAirlines Arena on February 11th. This show is being presented by the Adrienne Arsht Center for the Performing Arts and marks eight consecutive years in South Florida to honor the holiday of love. In celebration of the Valentine’s holiday, Andrea Bocelli will treat fans to a unique holiday repertoire combining the most beloved arias, crossover hits and famed love songs. As one of the most recognizable and romantic voices in the world, Andrea Bocelli has been thrilling audiences for over 20 years, counting over 80 million records sold worldwide. As the official pre-sale credit card for the Miami date, Citi® cardmembers will have access to purchase exclusive pre-sale tickets beginning Monday, October 16th at 10 AM/EST through Sunday, October 22nd at 11:59 PM/EST. Fan Club presale tickets will be available beginning on Wednesday, October 18th through Sunday, October 22nd at 11:59 PM/EST. General tickets go on sale on Monday, October 23rd at 10:00 AM/EST. For complete details, please visit www.CitiPrivatePass.com. Fans will have access to a limited number of pre-show Valentine’s Day dinner package hosted by each venue. The package includes top priced tickets, VIP parking, a pre-show multi-course Italian themed dinner featuring Andrea Bocelli wines, roses, and customized Valentine's gifts from Andrea Bocelli. Andrea Bocelli’s Valentine’s Day Tour follows his annual December North American tour with performances in select cities across the country. 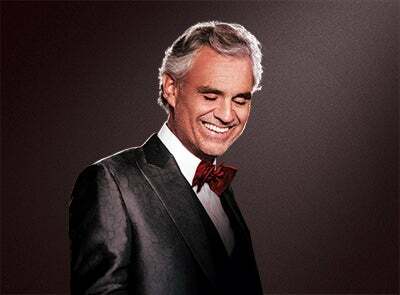 For additional information, please visit www.andreabocelli.com.